It’s another concealer showdown! Actually… it’s a sister showdown too. 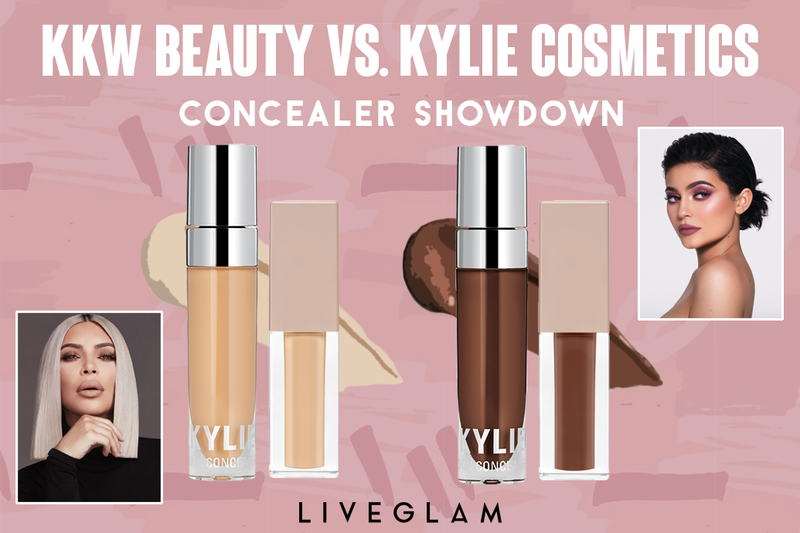 Today, the KKW Beauty Concealer and Kylie Cosmetics Skin Concealer are going head-to-head. Which one is better? Read to find out if you should go with Kim or Kylie! 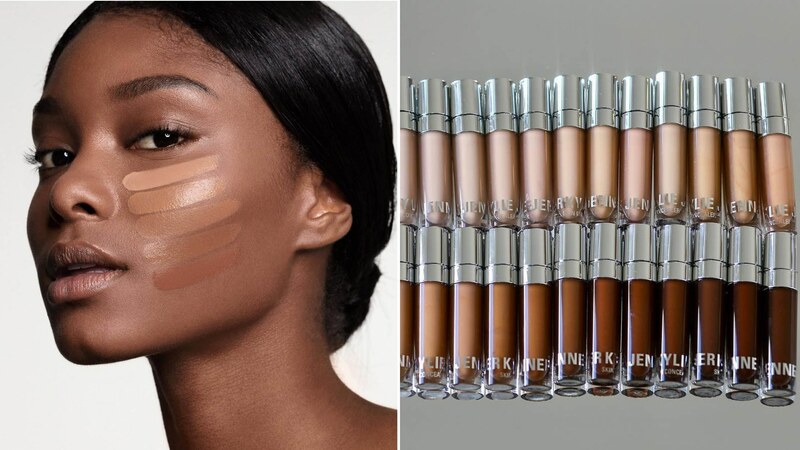 Back in January, Kylie Jenner dropped her Skin Concealers featuring a range of 30 shades. On her website, it is described as “a lightweight formula that provides medium buildable coverage for a skin-like finish.” It also claims to be long wearing and great for both spot concealing and hiding dark under eye circles. Now let’s get into the logistics of each one. Starting with Kylie, her concealer is $20 for 0.22 fl oz. It comes in a cute glass bottle with a paddle applicator (most concealers have a doe-foot applicator for reference). I got the shade “Amber” which matched my skin perfectly. In terms of the formula, it does have a nice, smooth consistency. It’s easy to blend out into the skin, but I wouldn’t say it has the best buildable formula. When layering it to try to cover imperfections, it didn’t perform the best. I also wouldn’t say it’s very long lasting, even with a setting powder. On my skin, the formula starts to separate and fade within a few hours of wear. It also settles into the corners of my nose and laugh lines (yuck). Basically, I like this concealer when I first put it on but it doesn’t wear well throughout the day. Moving onto Kim’s, her concealer is $18 for 0.162 fl oz. Less money, but less product. The bottle is sleek and chic but it’s also tiny. It almost seems like a sample size. However, it is great to easily throw in your makeup bag without taking up too much space, especially if you’re traveling. The applicator is also the same as Kylie’s concealer. Kim’s concealer is not for blemishes, it’s solely for under your eyes. It has an extremely creamy formula that’s actually kind of refreshing to apply. It’s super easy to blend and can even sit for a little before being blended out. But, you must use a setting powder or else it’ll crease like crazy. You don’t need the KKW setting powder though! You can use whichever brand you prefer and it’ll still work well (love my Ben Nye Banana Powder). 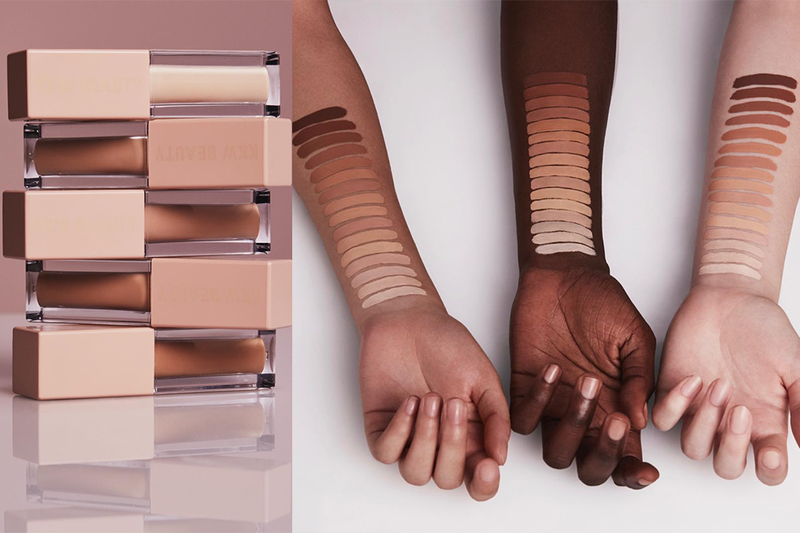 Personally, I think the coverage is very similar to the Nars Creamy Concealer, so I would say it has more of a medium coverage rather than full. If you use the shade Custard from Nars, shade #8 from KKW is almost identical and works great for medium skin tones. Kim uses shade #7. 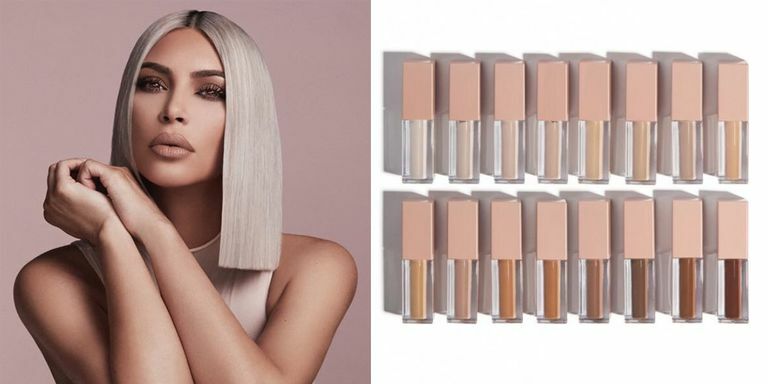 Of course, the biggest downside to the KKW concealer is the poor shade range. 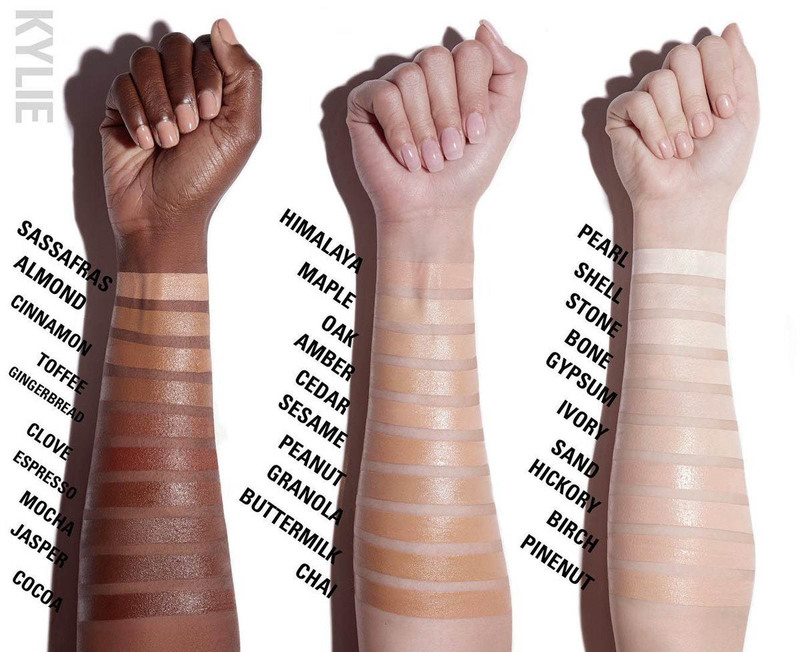 Though Kim released 16 shades, the deep shades are problematic and off. The tones are just weird and don’t work for a lot of skin tones. Hopefully for her next launch she’ll release more practical shades for a wider range. So… which one should you get?! The answer is pretty simple actually. If you’re looking for a skin concealer, you should go with Kylie’s. It can be used for both your skin and under your eyes, so you’re kind of getting a 2-in-1 product, unlike Kim’s. If you’re specifically looking for an under eye concealer, choose Kim’s. It works very well for that area and will instantly brighten those dark circles. Just be sure to use a setting powder, and you may have to touch up throughout the day as it starts to fade! Skin concealers ✨ Perfect for lightening dark circles under the eyes and hiding imperfections! Are either of these Tarte Shape Tape? Nope. That concealer still takes the cake for me. But, if you’re a KKW and Kylie fan and are dying to try these products, now you know which one to get! Otherwise, there are better concealers on the market tbh. Have you tried either of these? Let us know which one you prefer in the comments below! Diane Carroll: I will stick with my SeneGence products, they have the best anti-aging skincare and makeup. Everyone is happy! The coverage can cover a tattoo, water resistant....even at the beach!